Strip lighting is not only used for under cupboard lighting. 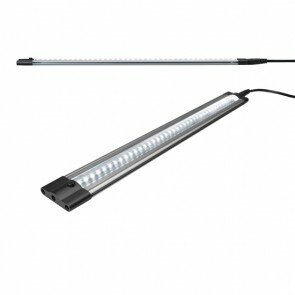 These lights can be fitted around coving and in a number of inaccessible places as an alternative light source. Using these forms of indirect lighting it is possible to provide a changing ambience in a room. Due to the indirect nature of the light sources there is no glare, creating a relaxed an calm atmosphere in the room. Cove and Strip lighting comes in a wide variety of forms with varying prices to fit any budget.